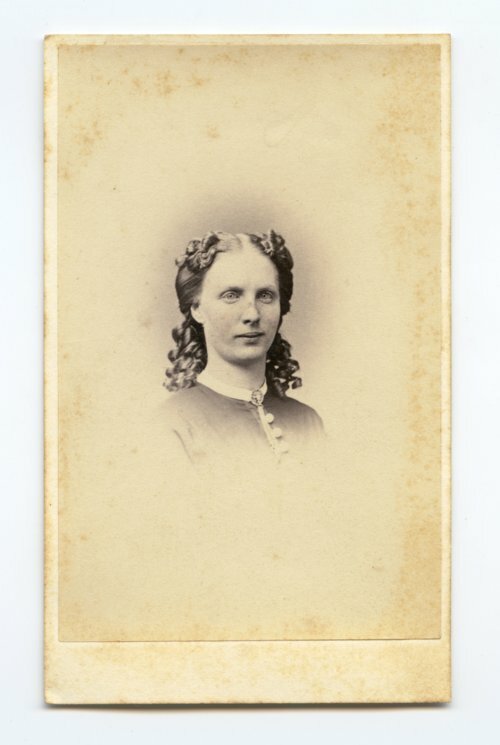 This is a carte-de-visite of Mrs. Charles W. Adams, who resided in Lawrence, Kansas. During the Civil War, her husband Charles W. Adams served in the 12th Kansas Volunteer Infantry Headquarters. He was mustered in September 30, 1862; promoted to Brev. Brigadier General on February 13,1865; wounded in action at Jenkin's Ferry, Arkansas, on April 30, 1864; and mustered out with the regiment on June 30, 1865.